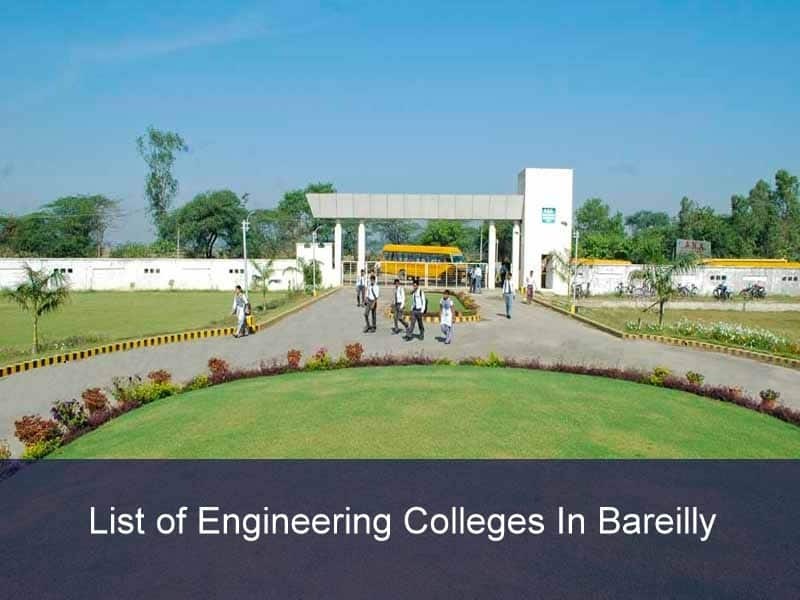 List of Engineering Colleges In Bareilly: Bareilly is a district in UP state and has Bareilly city which is 50th largest city in India. And now with Modi government, it is under smart city project. The city is also called with the name of Nath Nagri as it consists of four Shiva temples in four corners of Bareilly city. The city is the center of cane furniture, cotton, cereal, and sugar. But with is diversity in nature it is also ground of education which now becoming popular for education in UP. 1 How to select Engineering Colleges in Bareilly city? How to select Engineering Colleges in Bareilly city? Below is a list but the dear student doesn’t make a choice just by looking at college name. We should keep the thing in mind before choosing the engineering college like placement records, teaching staff, the ratio of student to mentors, infrastructure, hostel facility, academic records and achievement, International raking and type of management. To get admission in the college in Bareilly engineering colleges you need to have either of two qualifications of entrance exam 1.) JEE main scorecard 2.) UPSEE merit list. You should have a name in any one of them. After that, you have to apply online at the official portal of the college you have selected. You can find more information about the Bareilly engineering college from the table.